We have deep, and silly, conversations. We come together in community. We’re here to tell you, you don’t have to go at it alone. A group of anticipating, expecting and new mamas in the greater Seattle area that come together in support & encouragement. OMC Mamas are eager to build connection among like-minded women in their neighborhood and have some fun while they're at it! And the cherry on top? 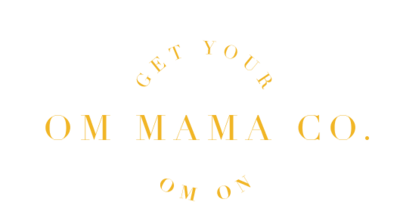 You get exclusive deals & discounts for all of the businesses in the Om Mama Collective! We think that's pretty sweet! We also host monthly workshops centered around various wellness and photography topics, from expert panel discussions, to photo workshops and fitness classes! Our members-only Facebook group serves as a virtual home base to check in, ask questions, and share advice! Every month, Om Mama hosts meet-ups so you can get out of the house, hang out and chat with other mamas. We invite you to come just as you are - in your sweats, covered in spit up. We know that having a community of support - feeling that you’re not alone - can rejuvenate your soul! We also encourage you to bring a friend, for free! One of the best parts about being a member of Om Mama Co. is the incredible team of vendors that are here to support you. We believe in quality over quantity, so you won’t find a giant list of hundreds of vendors here. Collective members are hand selected and referred by other vendors and moms. Check out the upcoming workshops & events we're hosting! From panel discussions to group workout classes to monthly mama meet-ups, you'll find all the details about what we're up to over on the upcoming events page! We'd love to see you at our next get-together!